Greasemonkey is an add on for Firefox. It allows for execution of java script on specific browser pages. Examples include renaming Labs and jumping days/weeks/months in the appointment calendar. Greasemonkey must first be installed on the computer being used. After greasemonkey is installed, any file ending in “.user.js” can be opened with firefox and it will be added to the firefox plug ins. Thanks to the many contributors for these scripts. Changes generic lab names into more recognizable names. Button at the bottom of the encounter panel allows you to run this script. The names will revert back when you leave the encounter. This script can be modified to re name as many reports as required, or to change the names as required. Open in text editor such as notepad or notepad++, instructions are commented out inside the js script. Updated January 2016 – bottom buttons did not work on some browsers – this updates restores that functionality. Add on for the main appointment screen that allows user to jump forward or back several preset amounts. You can also insert a specific number and jump forward or back that many weeks or months. Here is the thinking behind this script: Another request (either for Grease Monkey or programming). We are a “legacy” clinic so all our Family History is in the Social History summary box…those were the old days! We have not changed as it will require a lot of modifications to our eForms etc as they bring in information from the social history box and for the longest time there were issues with the dbase tag for Family History (not sure if this is fixed either). Now with the new V12.1 the consult screen will bring in the Family History summary box (which for us is empty) but it has dropped support for Social History. I would think it would be simple cut and paste programming to bring in a Social History button (which the modern users do not have to use). Can Grease Monkey be used to create a script that would either add a Social History button OR change the direction of the current Family History button to bring in the Social History information instead??? Happy New Year everyone! David —-And the reply from Darius Opensource— > Can Grease Monkey be used to create a script that would > either add a Social History button … Yes, it appears it can… Attached is SocialHistoryInConsults.user.js Let me know if it behaves as expected. Here is the thinking/discussion behind this greasmonkey script: —–I have another longstanding issue……I hate to be greedy but you seem to do this with ease! When we do messaging, my workflow is to open the message and on this screen I have the option to “reply” or to “delete” (see MessageScreen). Typically I reply (see SendDelete) and here I only have the option to “Send Message” and then go back to the message inbox. As a second step I either have to open the message again and then click delete or I can check the box next to the message and click “archive” to delete it. What I would love to see is a button next to “Send Message” that says “Send and Delete” so that I have the option of deleting the message from this screen without having to remember to do the second step??? Is this possible for Grease Monkey? Thanks for all you work. David —- And the answer from Darius Opensource —- > Is this possible for Grease Monkey? Yes, it appears it is. Attached SendAndArchive.user.js does the trick. code to retain the information about which community/site you are billing from. Created By Darius Opensource – here is the discussion.—– > It would be very efficient to have: &= gt; Continue/Another Bill/Having the default billing form open > = ; ALL with one button (called “Another Bill”) in the > FIRST sc= reen > somewhere close to continue. > So this would be doing ab= out 4 steps with one click….. Attached ExpressBilling.user.js adds= ‘Another Bill’ and ‘Save Bill’ to the first screen and defaults to ‘Day Sh= eet’ If you wish to change the default billing form, edit line 8. During initial use, please verify that the invoices have been created = until you are confident the script is behaving as expected. Update by Khai Phan – I’ve modified Darius’ original GM script to include: Alt+2 – activates the save button (floppy disc icon) Alt+3 – activates the sign/save/exit button (rectangle w/ arrow icon) Alt+4 – activates the sign/save/bill button (Dollar sign icon) Alt+5 – activates the Exit button (Door with red arrow icon) doesn’t work on Mac because Alt key takes 2 key clicks to activate. I’ve done a script for Mac using Ctrl if anyone is interested. Again caveat emptor and if doesn’t work, 100% refund for the cost of the script is available! Khai —– Created by Darius Opensource: A sample Greasemonkey script for adding keyboard shortcuts to the EChart. I have added one shortcut to the script Alt+4 (Pressing 4 while pressing one of the Alt keys) will ‘Sign, Save & Bill’ If that shortcut conflicts with existing shortcuts, it can be changed by editing the script. Feedback always welcome. On Thu, Nov 7, 2013 at 2:59 PM, Darius Opensource < darius.opensource@…> wrote: > There appears to be a subtle change to the schedule page in recent builds > of Oscar 12.1. > Try the attached Schedule_KeyboardShortcuts_v0.3.user.js and let me know > how you fare. > > Darius. Darius, For me, this greasemonkey script still opens to edit appointment whenever there is a tickler assigned to the patient. Version 0.2 was supposed to fix it but it doesn’t work for me (firefox esr 24.1.0, OSCAR 12 in tabs). Help please? 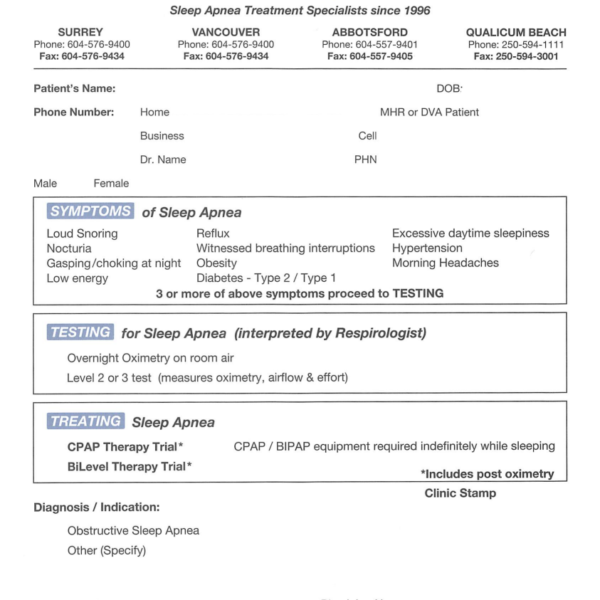 February 2014 – This is a greasmonkey Script more aimed at specialists. It creats (in this version) 3 buttons on the bottom left hand side of the encounter screen. Each button will capture the billing number for the referral physician listed on the demographics page and insert it in the referred to/by input of the billing form. Along with this it will fill in a billing code and a diagnostic code that you can designate by editing the script. Thanks to David Page for the code to pull the filling number, and to Darius Opensource for the greasemonkey fine tuning. July 27-2017 Additional script to reformat reports in to a more printer friendly style. Removes unnecessary columns. From Stanley Hurwitz – Two attached scripts: 1. Button to copy selected text from TRANSCRIPTION and CELLPATH reports directly to encounter notes. 2. Highlight selected text on TRANSCRIPTION and CELLPATH reports. Clicking the save button automatically adds the report author’s name to the label textbox together with the highlighted line numbers. (The report is not altered in any way; highlight coding is saved to the report label). 3. Shortcut keys: Alt + q Saves report Author to label and opens Acknowledge Box. Alt + w Saves selected words to label and opens Acknowledge Box. Alt + t Opens tickler box. Alt + Z Saves without changing the label and opens Acknowledge Box. These scripts work for FireFox – i’ve not tested for Chrome browsers. You will notice that “Highlight Mode On” is required for script 2. This is Firefox’s DESIGN MODE that allows me to add CSS coding to the screen web page. Design mode changes the way the screen responds to mouse clicks so I’ve added a “Highlight Mode Off” (= to DesignMode Off) if needed for compatibility with other scripts. Greasemonkey script to convert ht and wt from metric to imperial and place the imperial measurements in the comments. Used in the measurements section – instructions from Stanley Hurwitz: — 1. Set up a measurement screen called “BMI and converter” 2. Add measurement types BMI, HT, WT 3. 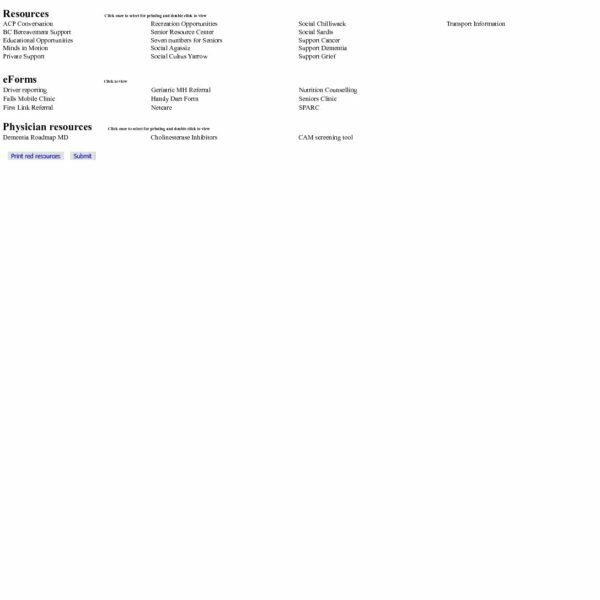 Load attached GreaseMonkey script. —– Extra Programming Information — This script can be adapted for any measurement screen: 1. @include line: Change groupName=BMI* to the name of your existing measurement screen. 2. inputValue-2 and comments-2: replace 0, 1 and 2 with the number corresponding to the field row numbers of BMI, WT and HT on your measurement screen. The first row is 0(zero). The results should post automatically to the encounter screen on submitting the form. Billy Lin – His contributions to Greasemonkey scripts and other helpful hints. From Stan Hurwitz — When billing for a non-scheduled service (INR, phone calls, etc.) the billing screen defaults to service date = null and Select Provider. 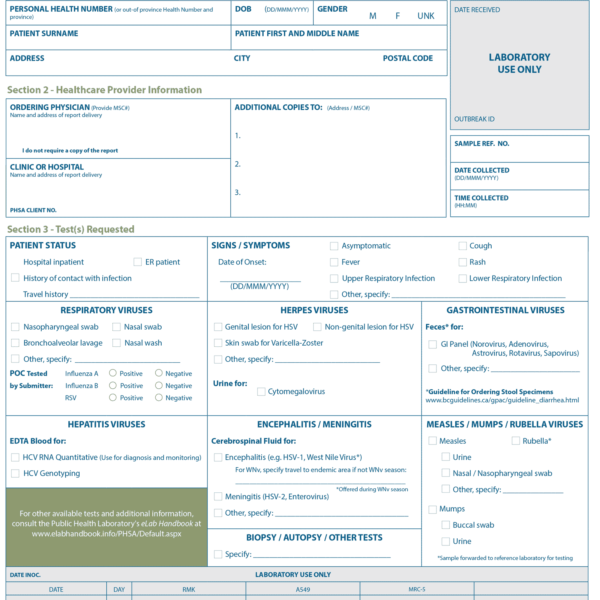 This script populates the date field with today’s date and the default billing physician. On clicking “Populate default provider” you will be asked to select the default provider. This is stored as a cookie in the computer hard drive. The default physician can be changed by clicking on “Store default provider”. If your FF is set to “private browsing”, the cookie will be deleted on exiting FF and will need to be reset on re-loading. For solo practitioners the default provider can be set permanently: 1. delete or comment the line: var theDefault=default_doc 2. uncomment the line: //var theDefault=’Hurwitz, Stanley D’; and insert your name exactly as it appears in the provider option list (Caps,spaces and commas matter here). This script can be run concurrently with my script for one click time setting for time-dependent billing codes. I’ve placed the buttons such that they hopefully do not overlap (button placement may need tweaking in accordance with your screen setup). Stan. Created by Stan Hurwitz, Description by Gunther Klein – The problem: I find it cumbersome to have to repeatedly click the “Expand all notes” button in the E-chart encounter screen, and then keep scrolling to the top to load old notes and click the button again to expand them. So Stan wrote a Greasemonkey that automates this. It has gone through a few permutations in my office, but the attached version anchors an “Auto-Expand” button at the bottom window edge, which onclick scrolls up and then clicks the expand button three times in short time intervals, then repeats this once. 8 inputs for the price of one click. From Stan Hurwitz – In the preventions window, it requires 18+ clicks to record a vaccine administered in 1999. This GM plugs in the year (plus -11-01) with one click. GM that sorts Report by Template (RBT) list in alphanumeric order. I have kept the old list intact as we are used to the current order. Scroll down the page to see the new list. If preferred, I can remove the old list entirely. Let me know. For the techies, the script contains an additional line that will read a demographic parameter from the URL as ‘params.demographic_no’ Stan. Both GM’s are required for the links to work. They will work out of the box, but can be tweaked for links to your favorite RBT’s. The GM places navigation buttons at the bottom of the screen. The button size makes them ideal for touch screen use. The Links buttons are: Today, and week views in 2w, 3w, 4w, 2m,3m,6m. Search Upload documents Assign new documents There are two custom direct links to your two favorite RBT’s. (You will need to insert your own template id in the areas indicated at the top of the script. To do this you will need to open the script in text viewer such as WordPad or NotePad). The ‘Edit Specialist’ and ‘Specialist’ links take you directly to the external provider details. To add a new referral doctor’s details, click on the ‘SPECIALIST’ button. Then search for the new doctor. Click on the doctors billing number link. Then click on “Add Specialist” and you are done! The details are automatically copied into your referral doctor list. You will still have to assign the specialist to his/her own specialty as usual. To edit Specialist details, click on ‘Edit Specialist’. (If the add or edit Specialist screens act in a way to which you are unaccustomed, simply turn off the Monkey and refresh) Word of caution: Your receptionists will love these buttons. Once the front office gets used to them, they may not be able to cope without them. Stan. GM to sort Lab result Row Display. From Stanley Hurwitz. GM that sorts Lab results – Row Display into alphabetical order. Updated June 6 – 2015: Now includes Codeine Environmental allergies and SBE prophylaxis. Updated May 31 – 2015: Updated to version 2.6 – ACEI added to “others” and buttons are now also available on the demographics page. Updated to version 2.5 – Latex allergy is now with the “others”, Macrolides now come with the notation after it (erythromycin et al). Updated to version 2.4 – erythromycin allergy changed to macrolides so that azythromicin is captured. Latex allergy button added. Updated version 2.2 is attached. Small bug I’ve noticed: avoid clicking the “Other” button twice in a row – you will have to refresh the web page if you do. Rather click on “Cancel” if you change your mind. I have updated the script to version 2.0. The script adds an ‘Other’ button for quick navigation to four common allergies. As always, please be reminded that my scripts are published without any warranties and that the end-user assumes all responsibility for the scripts installation and function. I have copied and pasted the URL codes that OSCAREMR uses for specific allergies and I assume, but have not verified, that drug allergy alerts will remain in effect. Stan.. Created by Stanley Hurwitz – Greasemonkey script for the encounter screen that allows you to jump directly to allergies and add “NKDA” to the allergies. Created by Stan Hurwitz – to allow MOAs to jump from the consult module to the demographics page for more contact information etc. From Stan Hurwitz and John Yap – InBox review in Preview mode generates about 10 items at a time, and you have to scroll DOWN to get more to load up. This has to be done repeatedly if you have many items to preview (e.g. more than 20 items). It’s akin to the auto-expand for the encounter notes. The one click, does the scrolling/expanding for you, it allows you to do the equivalent of 4 scroll-downs with 1 click. Best used in Preview mode for scanned items – because HL-7 reports render poorly in Preview mode. Update September 2016 – There was a bug fix that interfered with the previous version of this GM script – this has been fixed and the GM now has an additional feature that yellow highlights ticklers marked “High”.From Stan Hurwitz as a follow up to the code from Keith Chung – here is Stan’s comment – Hi All. The attached script works on my system. It requires that provider no. 999998 (Oscar’s default physician) exist on your system. I have also added a floating bar for the buttons that are normally located at the bottom of the screen. Lab reports have hyperlinks to display cumulative results for each individual lab item. This is great for checking one measurement, but difficult to print and collate a complete set of all results for general overview and referral purposes. This GM script collates all the cumulative hyperlinks on a given lab report and displays all results in a single window. Caveat: For patients with many lab results, you may have to wait up to 30 seconds for the script to complete. There are two buttons: view layout – results arranged into columns print layout – results arranged into rows. From Mike Dodd :This script adds a notification on the Echart coloured orange starting at 7 minutes, then turning red at 10 minutes. It counts up to 15 minutes. Timer starts when echart is opened. We use it to be aware of appointment timing. From Stanley Hurwitz: I’ve written a GM that will printout the toilet roll as an HTML file. > Step one: click the auto-expand button to open all dates and then > Step two: click Audit Print. The HTML file generated can be sent to print or saved as an HTML file. > > I’ve made the buttons in this GM quite obtrusive – the GM should be disabled at all times unless (hopefully, never) required! > Stan. Update May 2017 – 1. Reformated PHN for easier viewing 2. Added email address and link to send email via default email application: To use: in Firefox options, set application mailto to gmail or other email application. Unfortunately firefox will not open the email in a new window or tab, so it closes the encounter window. To open in a new window or tab, RIGHT CLICK on “Send email: and choose “open in new window” 3. Added new pagescraper demo info that can be added to Consultation request. 4. Referral form (Consultation request): I have reformatted the consultation request to add all contact phone numbers (home, Cell and work), as well as email contact with a link to send email. 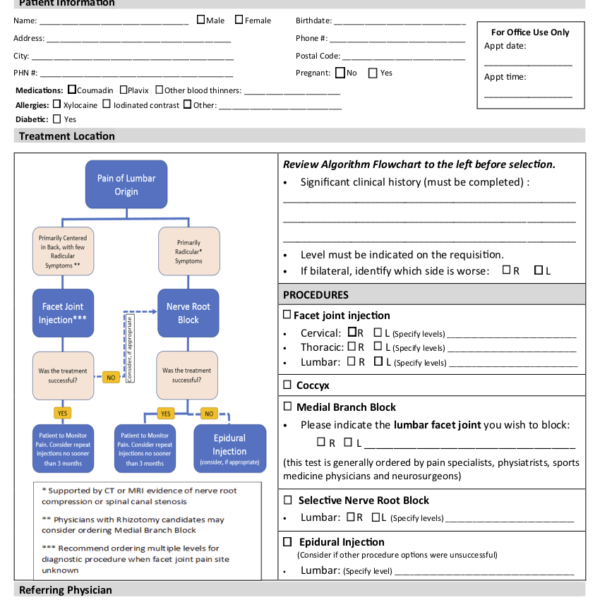 I have added some check boxes (Patient consents to email contact and Patient advised.) 5. More and more specialist offices are requesting the GP to advise the patients not only about their appointment date but also to advise the patient about a whole slew of policies regarding no show fees and instructions to prepare for their appointment. Recently I received a request from a specialist to put through a No Charge referral without me having seen the patient. This request came with a sheet of instructions to advise the patient about the appointment, no show fees and instructions. I feel that this is an unfair burden on the GP, adding to our office overhead costs. I am hoping that, by adding a softly worded request to my consultation letter, together with all contact numbers, that specialist offices will take responsibility for contacting the patient. 6. All feedback is welcome! Any suggestions about the header wording? —- December 31, 2015 – Created by Dr. Chris Sun, with modifications by Dr. Stanley Hurwitz – adds demographic data to the echart header. useful for filling out forms so you don’t have to click back and forth between master and echart. Update by Dr. Hurwitz added in Auto-URL, added a line break. Created January 2016 by David H Price – This is my first try at writing a GM script. It adds a few buttons to the top of a Hospital Report Manager (HRM) document, which is an electronically delivered text-based report available to EMR users in Ontario. It bothered me that the link buttons were positioned at the bottom of the document, which meant I had to scroll all the way down to, for example, open the patient’s chart. I hope that other OSCAR users in Ontario find it useful. Update November 6th 2015 – The corrected NEXT DATE format is yyyy-mm-dd (I inadvertently switched the yyyy/dd/mm in the first)— Stan.— Greasemonkey and eform suite to automate ticklers and reminders for review of reports and documents. Time saving reminder GM for transcription reports and documents: The most efficient time for me to update recalls, reminders and preventions is when opening and reading new incoming reports and documents. The GM inserts two buttons on report and document screens: one for a Tickler link and one for an Auto reminder link. Clicking either button will open a quick pick table popup. The reminder button auto-inserts text into the Reminder box and the Risk Factor boxes of the encounter screen; the tickler button opens a pre-populated tickler screen. If the reminder is a Pap, Mammogram or Colonoscopy, the GM also opens a pre-populated Prevention screen with Next Date set. To use this script, first upload the PushtoReminder form. Once uploaded, open the form to obtain the specific form id number on your own Oscar system. Copy this unique form id number to the gm script as indicated below: //********************************************************** var inputvar = 123 //form id goes here //********************************************************** I’ve programmed the script to populate both the Reminder and Risk Factor boxes. but of course the script can be changed to populate any of the CPP boxes on the encounter screen. Stan. Update November 13-2015 – Includes error checking for “undefined time” (If you click on “Paste to Encounter” prior to selecting a time or if you click on “View” in the green bar in the generated encounter screen). The eform is meant to be loaded as a patient independent eform. There are several billing codes in BC (and possibly elsewhere) that require specific start and stop times be placed in the encounter note. Stanley Hurwitz has created an eForm/greasemonkey combination that will achieve this. His description: With the new requirement to document billing time in the encounter notes, I’ve updated the billing time GM. To use this script, first upload the EncounterTime form. Once uploaded, open the form to obtain the specific form id number on your own Oscar system. Copy this unique form id number to the gm script as indicated below: //********************************************************** var inputvar = 123 //form id goes here //********************************************************** There is now a new button added to the invoice screen. After you click the time button (8,20,40 or 50 minutes), click on the green button. This will briefly open and close the EncounterTime form, which autoposts a line comment below the current encounter containing the Start and End times. I suggest you try it out on a dummy patient first as the encounter note pasting cannot be undone. stan. GM to assist with unmapped Loinc codes: When you search for unmapped Loinc codes in the “Add Measurement Mapping” screen, the bottom field on the screen is searchable by test name. The top field (“Select unmapped code”) however is not searchable. It takes forever to look through every single lab test to find or add the suitable mapping. This GM places a button above the unmapped Loinc codes to be searched. Enter part of the string to be searched. Remember to capitalize the first letter (otherwise it will not be found). For example to search for Varicella Ab IgG, you can search for any of the following: Var Varicella aricel IgG (this will yield all IgG codes) Ab (this will yield all Ab codes) To accept the Loinc code in the Prompt box, click OK. To look for another instance of the search string, click Cancel. Stan. Update December 8th – Update to reason replacer GM I have added Wait Time – lists how long the patient has been waiting since check-in (the time that status line was changed to green) I use two greens – green for “HereOnTime” and lightgreen for “HereButLate”. You will need to change the strings in the first two lines according to your setup: var greenline1 = ‘HereonTime’ var greenline2 = ‘HerebutLate’ —- Created by Stan Hurwitz, updated October 23rd 2016 – Update to my GM for replacing-reason-for-visit in columns: I’ve added a WAIT TIME button: displays time since patient checked in at reception (“HERE ON TIME” or “HERE BUT LATE”). Icons are color coded: <5 min, <10 min, <15 min, >15 min. Created by Stanley Hurwitz – 4. Referral form (Consultation request): I have reformatted the consultation request to add all contact phone numbers (home, Cell and work), as well as email contact with a link to send email. 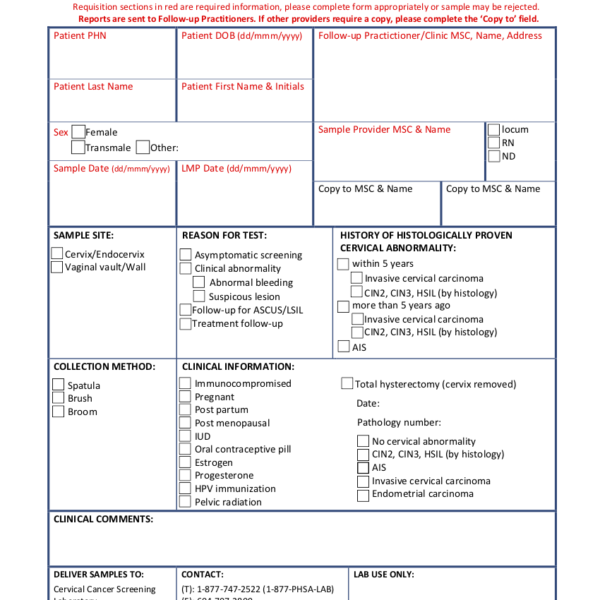 I have added some check boxes (Patient consents to email contact and Patient advised.) 5. More and more specialist offices are requesting the GP to advise the patients not only about their appointment date but also to advise the patient about a whole slew of policies regarding no show fees and instructions to prepare for their appointment. Recently I received a request from a specialist to put through a No Charge referral without me having seen the patient. This request came with a sheet of instructions to advise the patient about the appointment, no show fees and instructions. I feel that this is an unfair burden on the GP, adding to our office overhead costs. I am hoping that, by adding a softly worded request to my consultation letter, together with all contact numbers, that specialist offices will take responsibility for contacting the patient.